4. 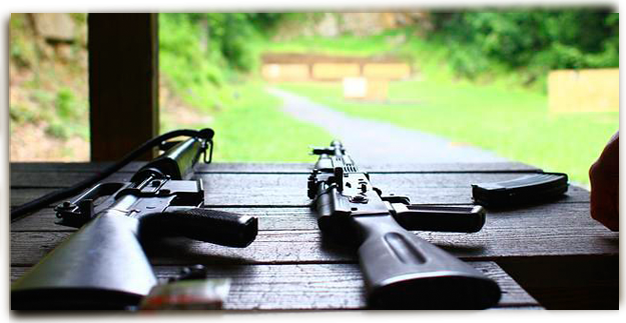 Firearms must be unloaded with the actions open before anyone goes down range. 5. No firearms may be handled when people are down range. 6. Stand behind the safety line when people are down range. 7. Full automatic fire and uncontrolled rapid-fire are prohibited. 8. NO ALCOHOL or intoxicated persons are allowed on the ranges. 9. 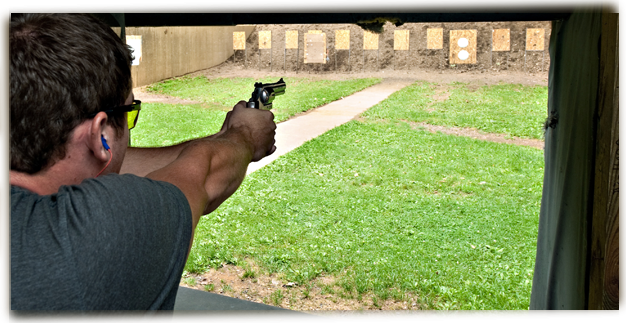 Range Safety Officers have the authority to rule anyone “off the firing line” for any perceived safety concerns. Objections may only be addressed to the Board of Directors. 10. Paper, cardboard and club-provided steel are the only allowed targets. 11. Junior members (10 to 17) must be supervised by an adult member at all times. 12. 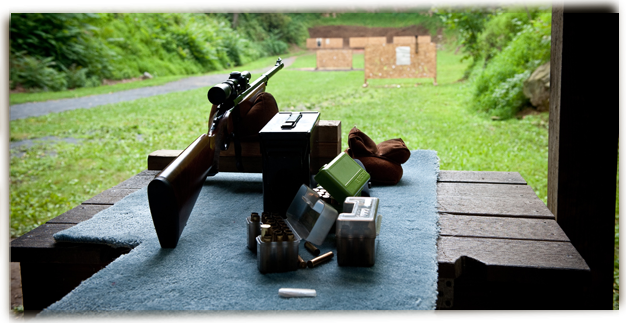 Shooters are required to abide by the special rules that may be posted at each range. 13. 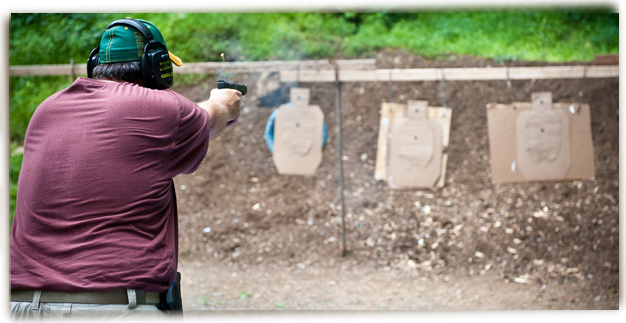 Drawing from the holster is only allowed on the action range (Range 4). 14. Members and guests will conduct themselves in a safe and orderly manner. 15. All members and guests MUST use hearing and eye protection at all times. 16. 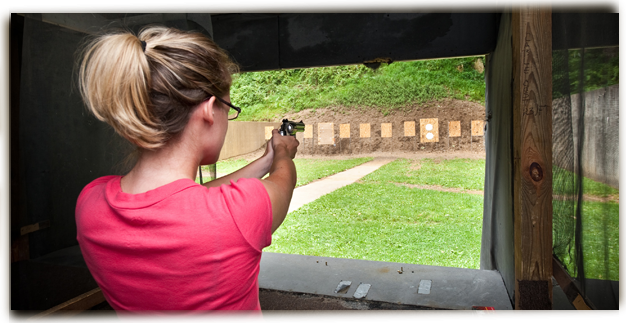 If there is no club-appointed Range Safety Officer present, the first shooter using the range will act as the Safety Officer. 17. Do not post targets in front of the support studs. 18. Range use is limited to one hour if other members are waiting. 19. Remove your targets and pick up your brass when you are finished shooting. 20. Membership cards must be clearly visible at all times when on club property. 21. 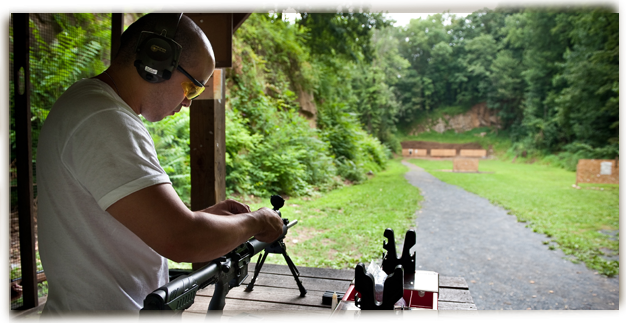 All members and guests must sign in at each range before shooting. 22. Shooting hours start at 10:00 am on Sundays and 8:00 am on other days. 23. Shooting hours end at the time posted at the entrance. 24. The last shooter of the day must lock the front gate. Do not risk your membership. If you have any questions about the Range Rules , PLEASE ask an EFGA Range Safety Officer or send an email to the Association. 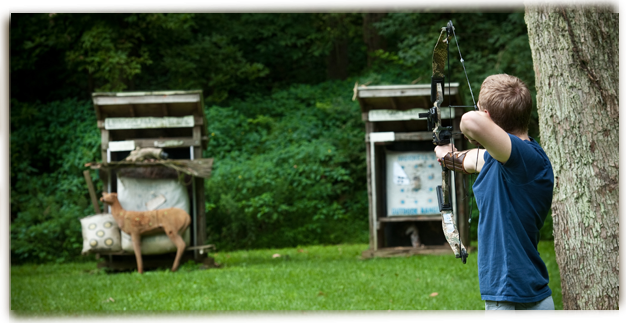 I acknowledge that there are inherent risks and affirm that Easton Fish & Game Association Inc. is not responsible for anyone injured on the range. Any individual using EFGA owned ranges does so at his or her own risk and assumes all responsibilities for all injuries to any person or property caused by or to him or her. I also acknowledge that I have read the rules, agree to abide by them and understand violations may result in expulsion from the club. I understand that the membership card issued is club property and must be surrendered upon demand from a club official. I further affirm that I understand that by entering Easton Fish & Game Association Inc. property, I consent to video and audio recording of my activities and oral communications with no expectation of privacy as defined by Pennsylvania law. I understand that I may be asked to produce a government issued photo ID to verify my identity.